Dinoot Trailers, by Compact Camping Concepts, specializes in compact, budget-friendly DIY camping trailer kits. Dinoot takes a bit different approach than most other competitors by offering a do-it-yourself kit to build your own camping trailer, the way you want it. By putting a bit of sweat equity into building your own trailer, it allows you to save $$$ and have camping trailer at a more affordable price. Dinoot Trailers are an innovative and flexible design of modular fiberglass components that are customizable to individual customer needs, build-able as heavy or light duty as needed. The Dinoot trailer is equally at home off-road in the back-country as your favorite addition for Jeep camping gear, or on a trip to grandmas behind a Subaru. Customers can build them as Gear Haulers or Tent Topped Campers. 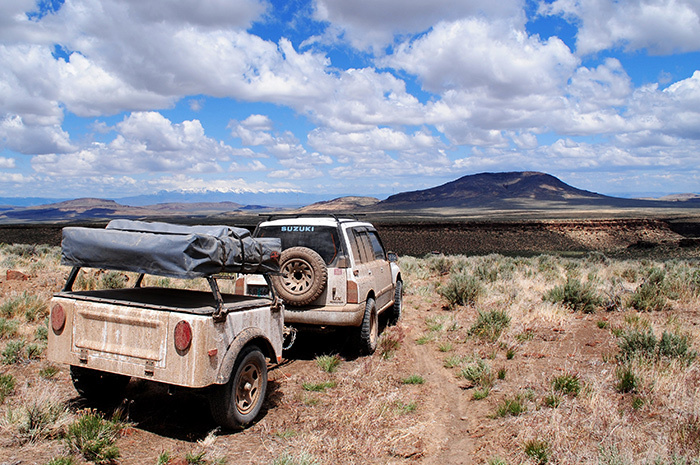 Dinoot Trailers provide an easy and cost effective vehicle to enjoy Trailer Supported Adventuring in a couple of ways: First, putting in some home-built sweat equity. Folks with basic tools and DIY skills will be able to assemble a Dinoot in a weekend or two. Secondly, Dinoot Trailers are designed for building and upgrading incrementally over time so you can spread out the cost. A couple different models are available, the Dinoot J-Series and M-Series trailers. The J-Series is available in two different sizes: “Compact” and”Extended”. The Compact is lightweight and sized perfectly for being a highly maneuverable back-country trailer. The Extended is 2 feet longer, providing additional storage capacity while maintaining the lightweight advantages. The M-Series is a hand layed, fiberglass tub trailer, modeled after the the original military M416 / M100 / M101 Jeep trailers with lots of customizable options and features. 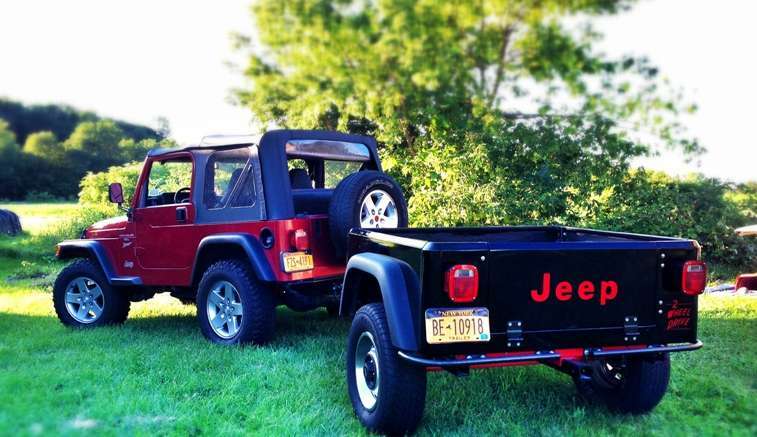 Be the first to comment on "Dinoot DIY Jeep Trailer Kits"